The client chose the Spring Green Colorway but opted for lemon yellow accents as her own special touch. I felt right at home, since I went to the University of Oregon, and the Ducks colors are green and yellow. 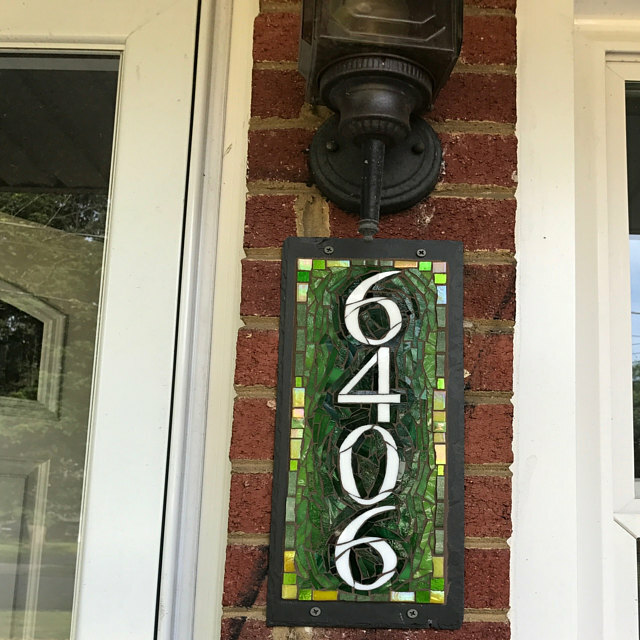 The glass mosaic sign measures 6x15 inches, on Pennsylvania slate, and the client attached it to her brick cladding with anchor screws. 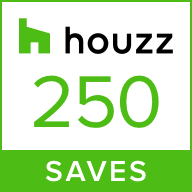 This vertical house number went to Alexandria, VA, and the client has gotten nothing but compliments from her neighbors!